As the year winds down and as I start to look forward to 2018, I'm also looking back at what rocked (and what didn't) in 2017. So, each day for the next week, check back at Espresso and Endorphins as I compile some of my favorite 2017 moments, products and everything in between. Every Christmas, my family has a tradition of heading to the movie theatre to catch some new blockbuster. Christmas this year was no exception. So, in the vein, today, I'm thinking about what I watched this year. Add these to your Netflix/Hulu/HBO watchlist! What should I watch in 2018? I know I'll get some flack for keeping this on the list, but I did watch it this year...and there are dozens of other actors on this show who should not be overshadowed. I've been a longtime fan of House of Cards, but hadn't finished the fourth season and started the new season this year. It's a show I have to really focus on...it's fascinating, witty and smart. This year, Netflix added the second season of Master of None. The first season was hilarious, and I'd been crossing my fingers for a second. Aziz Ansari is laugh-out-loud funny, and each episode is unexpectedly poignant. It's the first TV show I've truly related to in a long time. Not to mention, it's adorable that his real parents play his parents on the show. When I asked my friends for TV suggestions earlier this year, Glow immediately came up...and I was immediately hooked. Glow is a comedy following Hollywood misfits in the 80s who are cast as the Gorgeous Ladies of Wrestling. It's both silly and smart, and I loved it. This Is Us follows the Pearson family through multiple generations...in a very real way. Both seasons have touched on one of the main character's struggle with anxiety, and it's really nice to see something I've struggled so hard with represented in mainstream media. Be warned though: this show will give you some major feels. Based on Liane Moriarty's book, this HBO show is a dark comedy-drama that stars Shailene Woodley, Reese Witherspoon and Nicole Kidman. The story line is fascinating and leaves you constantly guessing, the show is beautifully shot and the acting is on point. Bonus: the show features Alexandar Skarsgaard (of True Blood fame)...who is pretty easy on the eyes, despite being a horrible character. The Mindy Project has been one of my favorite shows for years, and sadly, this year marked the series' final season. I relate to Mindy's character so much (and wish I had her wardrobe...), it's hilarious...and it's honestly only become funnier over time. The series finale episode gave me some major feels...and laughs - all at once. Badass female lead. Smart humor. Good plot line. I'm into Jessica Jones, Marvel's latest superhero series. Krystin Ritter is amazing in the show - and I can't wait for the second season of this superhero show. The O.C. is one of my favorite TV shows - ever. Last year, Hulu added the entire early 2000s series to its collection. Score. I've been rewatching the teen show - and it's even better the (third) time around. It handles real issues, unlike most shows of its time...and the music is always on point. Team Seth and Summer forever. I think I may have been the one and only person my age who hadn't seen Forrest Gump until this year...but hey, I finally joined 2017 and got with the program! And, now I totally see what all of the hype was about. Forrest Gump made me laugh, cry and everything in between. As always, I'm behind on the times in relation to movies, so I finally watched La La Land this year. I'm a sucker for musicals - and Emma Stone...and Ryan Gosling...and love stories. And, it exceeded my expectations. The storyline was engaging, the music was beautiful and the ending was heart-wrenchingly beautiful and honest. I could have honestly probably watched it again...right after. My dad chose Valley Uprising as one of our movie choices this weekend. The documentary covers climbing history in Yosemite Valley up till present day. While heights make me nervous (even watching people climb stresses me out), I find it so fascinating and totally get climbers' innate draw to something that others deem crazy (for me, running). The music selection is on point, too. Ha - can you tell by this point that I love documentaries?! Anyways, The Barkley Marathons is a documentary that follows the journey of runners during an annual ultramarathon trail race in Tennessee. The run is quirky...and the participants who run it are insane....in the best way possible. It's a fascinating documentary about traditions, running, mental and physical endurance and nature. Plus, it's set in Tennessee...so it has a special place in my heart. I always peruse Netflix's documentary section...and Cartel Land caught my eye a few months ago. This documentary looks at the Mexican Drug War and vigilante groups fighting Mexican drug cartels. It's an area that fascinates me - and the documentary gave a real, raw look at what's happening on our border. I stumbled on this movie on Netflix, drawn to a title about running...and was so pleasantly surprised (and full of feelings and lots of tears at the end). The inspirational story is about a young track runner and the bond between him and his coach...I won't give too much more away. 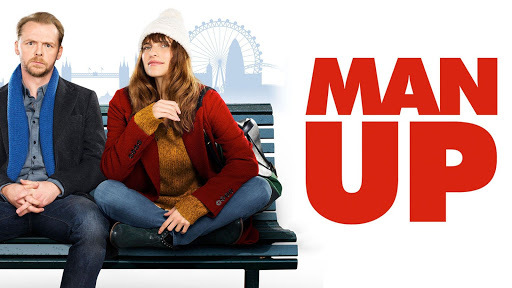 I found this British-French romcom while perusing Netflix's romantic section - and was so pleasantly surprised by a movie I had never even heard of! Starring Simon Pegg and Lake Bell, the story follows a single woman who is mistaken as a stranger's blind date, but plays along with it. The story is hilarious, smart and real. I'm so sad I hadn't heard of it before! Last documentary, I promise! This public health documentary premiered on HBO this year and took case-study looks at the risk of alcohol use and the way the medical community views and treats the spectrum of risky drinkers. A lot of the story hit really close to home...and I was shocked and horrified by a lot of the statistics. I was way behind the times on this one, but I finally sat down and watched Midnight in Paris this year! The comedy follows a screenwriter who travels back in time each night at midnight...and how that impacts his reality. It's funny and portrays some of my favorite artists. Win win! Stay tuned the rest of this week for more of my favorites...and possibly some fun goodies for you to score!